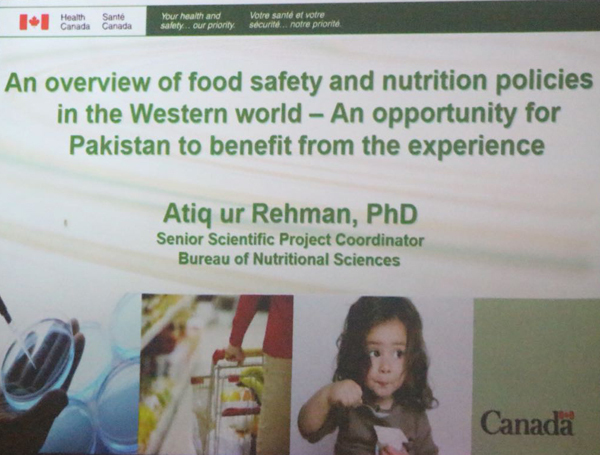 An International Seminar on “An over-view of Food Safety & Nutrition Policies in the Western World: An Opportunity for Pakistan to Benefit from the Experience” was held at Institute of Agricultural Sciences (IAGS), University of the Punjab Lahore. 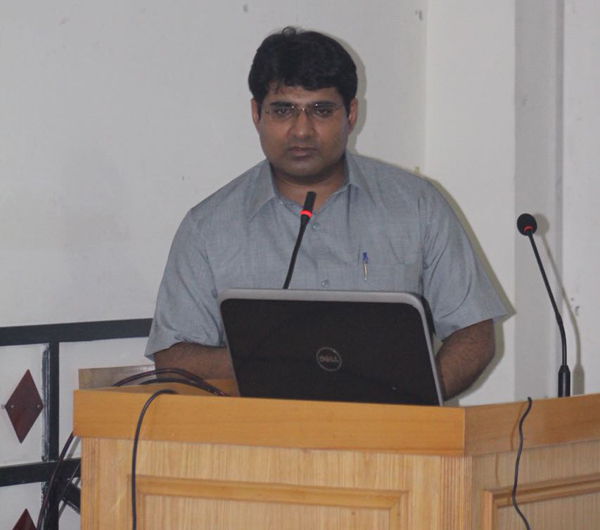 Dr. Atiq Rehman Senior Scientific Project Coordinator, Bureau of Nutritional Sciences, Health Canada was the guest speaker. A large number of the participants from private sector i.e. 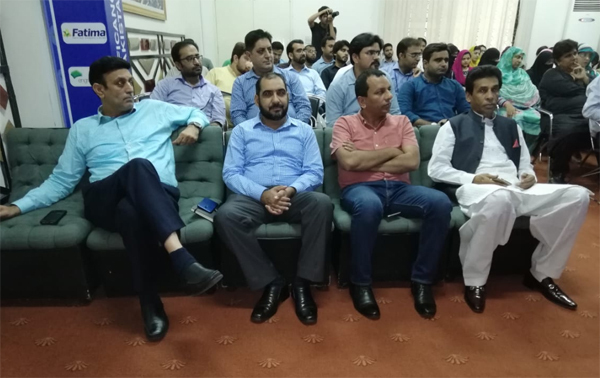 Haleeb Foods, Engro Foods, Pestex Environmental Services, Foster Foods, C-Shine etc as well as faculty and students from other Universities of Lahore participated in the event. 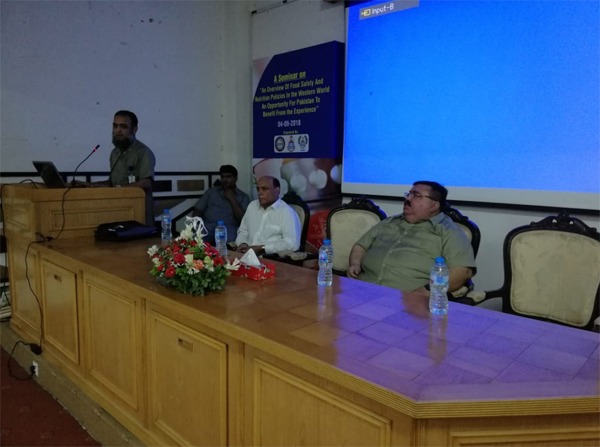 Mr. Mustajab Ahmad, Head of Production at Cakes & Bakes in Lahore represented the Pakistan Society of Food Scientists & Technologists (PSFST) in the Seminar. 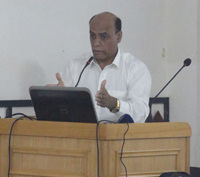 Dr. Rehman said Supply of safe and nutritious food is essential for a healthy nation. It is a basic human right and Government institutions play a key role in ensuring supply of safe and nutritious food. He elaborated the structure of Food regulatory bodies existing in advanced countries like Canada, USA, EU, Australia and Newzea land. 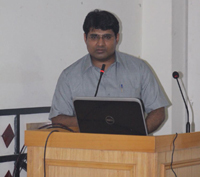 Different components of decision making process and what is the role of science in the process was discussed in details. He focused on the need of centralized regulatory body in Pakistan too, to harmonize the food standards in all provinces of Pakistan, as after Punjab Food Authority Experience, other provinces have or going to establish the Food Safety Authorities. Integrated food regulatory system and monitoring/execution of food laws by technically qualified persons are need of the time. The Civil Service should include highly specialised professionals and Pakistan should learn from the experience of advance countries, rather than re-inventing the wheel. 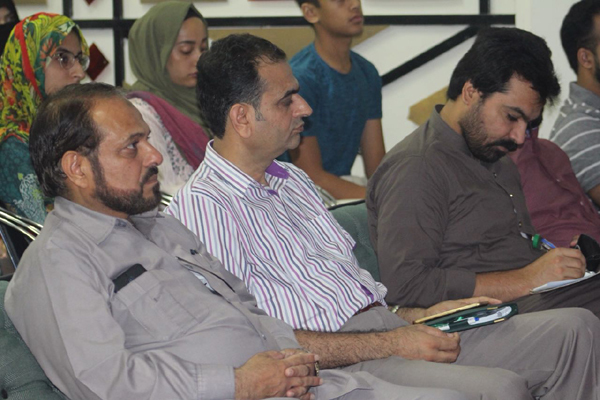 He further said that collecting of quality data and incorporation this data in to policy choices and decision making introduce transparency and accountability in the system. Certainly, the supply of safe and nutritious food is a shared responsibility involving individuals, businesses, universities and governments. Prof. Dr. Mahmood Saleem, Director ORIC Punjab University appreciated the efforts of Prof. Dr. Muhammad Saleem Haider, Director IAGS and Dr. Shinawar Waseem Ali, Coordinator Food Science & Technology for organizing such kind of informative and brain storming activities to create awareness among public and private sector to move forward. At the end, Shields were presented to honorable guests by Prof. Dr. Javed Iqbal Qazi, Dean Faculty of Life Sciences, as token of love & remembrance.